Katy Stewart takes us on a journey through one of Africa's most overlooked national cinemas. Cinema is probably not the first thing that springs to mind in relation to Guinea-Bissau. The tiny West African nation, on the rare occasions that it hits international headlines, tends to be portrayed as a ‘failed state’ or ‘narco state’. It doesn’t exactly promise cinematic wonders. Yet the country is home to two of Africa’s most celebrated directors, Flora Gomes and Sana Na N’Hada, long-time friends and collaborators, who between them have created a distinctive national cinema. Through the lenses of their cameras, these two men have borne witness to the war of independence that overthrew Portuguese colonial rule, to the bitter civil war that subsequently divided the country, and to resistance against the destructive forces of globalization and rampant capitalist greed that threaten the natural environment and local ways of life. 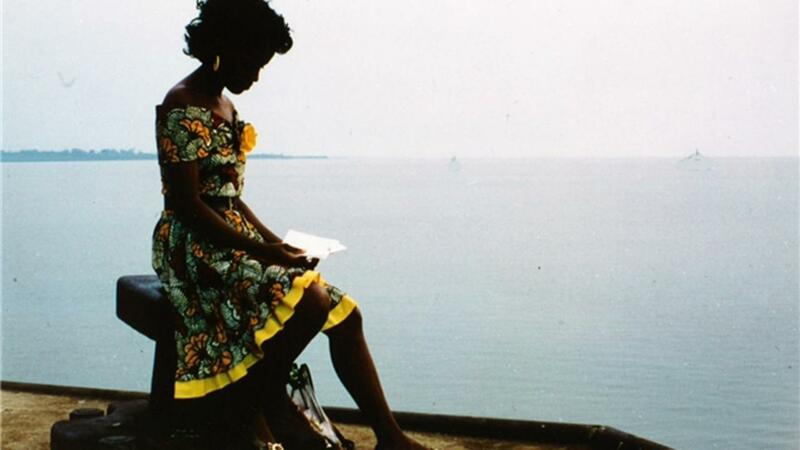 Both Gomes and N’Hada have also, in more recent years, created imaginative, magical, and youthful cinematic works which speak to the Bissau-Guinean psyche: there’s recognition of the many hardships suffered, but fierce hope for the nation’s future which relies upon a strong link to its ancestral past. Before their filmmaking careers began, both Gomes and N’Hada supported revolutionary leader Amílcar Cabral in the liberation struggle that marked the 1960s early ‘70s. They both travelled to Cuba to study with cinematographer Santiago Àlvarez, in order to learn the skills necessary to document the struggle for independence – and eventual victory – on film. In 1974, Guinea Bissau finally won independence from Portugal, but it came at a heavy cost. 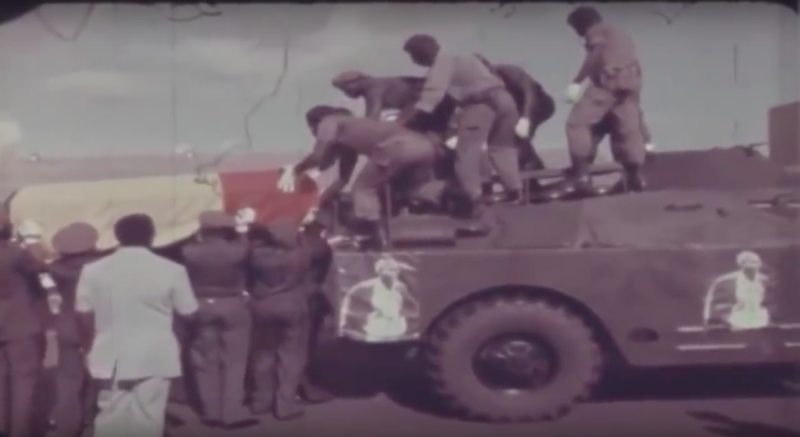 Gomes was in charge of filming the country’s independence victory celebrations, but it must have been a bittersweet affair: it had been a bloody war against Portugal, which had created vicious infighting that culminated in the assassination of Cabral in 1973. No sooner had the cheers of victory died down than the disillusionment of a nation divided began to set in. Very little film remains from that tumultuous, newly-independent period, though both Gomes and N’Hada are working to restore what is left from those early days. One early documentary, co-directed by the pair, covering Cabral’s funeral, has been preserved and digitized: you can watch a clip here. In the 1980s, under the government of João Bernardo Vieira, Guinea-Bissau was suffering from ever-worsening economic conditions, and the dreams of independence had been marred by waves of violence, enacted by the PAIGC (the ruling party founded by Cabral) against those who had aided Portugal during the war of independence. It was in this tense climate that Gomes and N’Hada collaborated on the nation’s very first feature-length fiction film: Mortu Nega (Those Whom Death Refused, 1988). Though it is set during the war of independence, it represents the pessimism of the 1980s and foreshadows the civil war of 1998. There is a very real sense, in the long scenes depicting the tedium of war, and the difficulties faced on returning home, that this is not a war with any real victor. Post-independence disillusionment comes to the fore in Gomes’ second feature, Udju Azul di Yonta (The Blue Eyes of Yonta, 1992). This is the first film to really demonstrate what would become Gomes’ signature style: a powerful, evocative soundtrack, a vibrant color palette, and enchanting characters. 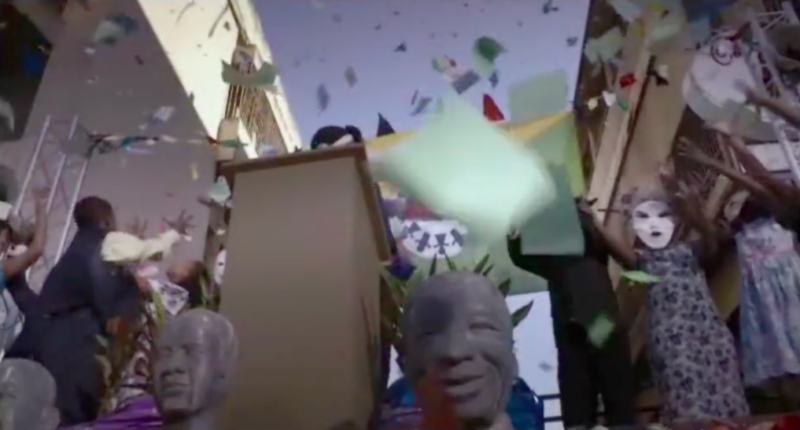 All of these elements come together more fantastically and surreally in Nha Fala (My Voice, 2004) and A República di Mininus (The Children’s Republic, 2012), but Udju Azul di Yonta was a startlingly original and politically incisive film of its time. Unfettered capitalism and corruption come to the fore in the film: Vicente, who owns a fish company, faces huge economic losses due to repeated power failures and state corruption, while Yonta, who is in love with Vicente, dreams of nothing but Parisian fashion and European culture. The hopes and dreams of the revolution rather lie in tatters. Gomes’ next film, Po Di Sangui (Tree of Blood, 1994), is in a completely different key, set in a rural village, where ancestral and spiritual knowledge bind humans and nature together. Each child has a twin tree, planted when they are born. But the trees start dying, destroyed by fires and threatened by urban prospectors. There is a strong message of resistance here; the path to post-independent utopia lies not in a lust for European values and capitalist greed, but in the salvation of traditional ways of life and indigenous wisdom. N’Hada’s more recent feature film, Kadjike (Sacred Bush, 2013) also offers a vision of a rural way of life, this time in the Bijagós islands, where two adolescent boys are set on very different paths by the arrival of narco-traffickers from Bissau. Toh is blinded by the traffickers’ glitzy lifestyle and the possibilities of adventure, while his friend Aninka, newly initiated as a medicine-man, is doing everything to prevent the traffickers from taking over a sacred piece of land. Woven with mythical ancestral stories and very contemporary issues, the message is again one of resistance and of respect for the natural world. For N’Hada, adolescents on the brink of adulthood in both his feature films (Xime (1994), Kadjike) represent unstoppable changes. But with careful negotiation, his work implies that links to the past can be preserved as these young people take control of the future. Children are also at the center of many of Gomes’ films, and they often speak a truth that adults cannot. Numerous scenes in different films are filled with children running, playing, laughing, and working together, with inexhaustible energy and optimism. Nha Fala, while playing on similar themes as Udju Azul di Yonta, also explores the idea of rebirth, and of passing the future hope for the nation to the younger generation. These ideas are most fully realized in A República di Mininus. 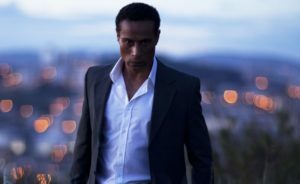 In a departure from his previous work, the film is in English, rather than Bissau-Guinean Kriol, and is set in an imagined African nation. As the title suggests, children are in charge. Having fled a violent and corrupt state still tied to the former colonial powers, the children set up their own, radically democratic, Republic. They are forced to make difficult decisions when a group of refugee children and a child soldier arrive and disrupt the harmony of the Republic. The theme of rebirth is strong here as well, and offers hope for the future, using the values laid down by Cabral. The legacy of Flora Gomes and Sana Na N’Hada is enormous, and both are still highly active. However, as is evident in the messages of youth and future, particularly in their later films, there is a need to look to the future generation of Bissau-Guinean filmmakers. Becoming a filmmaker in Guinea-Bissau is no easy task, but with the arrival of digital technologies and with the dedicated work of both N’Hada and Gomes at INCA (Guinea-Bissau’s national cinema institute), opportunities are emerging. Among the new generation is Filipe Henriques, whose debut feature O Espinho da Rosa (The Thorn of the Rose, 2013) has an altogether more Nollywood vibe, whilst dealing with specifically Bissau-Guinean historical issues. Meanwhile, two young actors with quirky nicknames and a background in theatre, Jacinto Mango (Atcho Express) and Rui Manuel da Costa (Pape di Nha Raça), both debuted short films at FESTIN2018, a lusophone film festival held in Portugal. 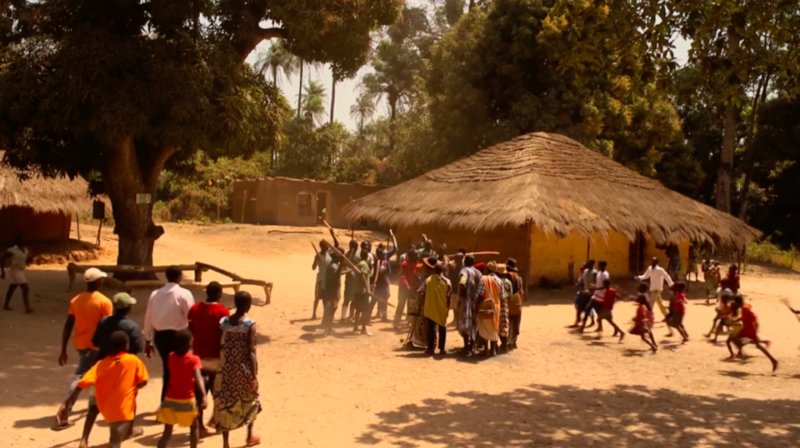 Cinema in Guinea-Bissau remains precarious. Economic and political difficulties still loom large and there is little funding available to support creative industries. However, there is no lack of creative talent, nor of vital stories to be told, and Gomes and N’Hada keep making films against all the odds. No doubt their work will serve as inspiration for the Bissau-Guinean filmmakers of the future. Katy is a PhD Candidate researching Francophone and Lusophone African Cinema at the University of Sheffield’s School of Languages and Cultures. Her research project is funded by the Wolfson Foundation.